Join this local operator on a fantastic ride along quiet roads, gravel tracks and earthy roads that skirt immense lakes and pass through sleepy villages. Accommodation is a combination of small hotels, lodges, cabañas and family run hospedajes (South American bed and breakfasts). After your arrival in Santiago, Chile, you head for the Domestic Terminal and catch an internal flight to the 'capital' of the Chilean Lake District, Puerto Montt (PMC) where you are met by our guides. From here we transfer to our hotel in Puerto Montt. The remainder of the day is spent resting from our travels and preparing the bikes for tomorrow. At a convenient point the group meets for an informal talk to discuss the events of the forthcoming tour. You may wish to explore the numerous handicraft stalls lining the seafront and for those in search of tasty Chilean dishes and some of the weirdest shell-food on the planet, the choice is 'eye-brow risingly' vast at the fishing port of Angelmo, on the outskirts of the town. Here you will have the chance to sample Chilean seafood dishes and may even wish to try the local speciality, Parillada de Mariscos (grilled mixed seafood served from a piping hot charcoal brazier). Following breakfast we load up our bikes and leave Puerto Montt by our support vehicle. This initial 45 kms/28 miles takes us southwards firstly through the small settlement of Chamiza and then shortly after passing through Lenca, we skirt the dramatic Alerce Andino National Park for the final few kilometres to Caleta La Arena. Here we board the small local ferry for the 20 minute crossing of the narrow Estuario de Reloncavi to Caleta Puelche. It's here that we unload our bikes for the undulating unsurfaced track/road alongside Estuario de Reloncavi to Puelo. This is a truly stunning section and wonderful introduction to our trip on this our initial days cycling, and is a fabulous way to begin our biking. Our accommodation tonight are a series of Caba?as a short distance from Puelo (2kms) and are a welcoming site after this initial day of riding. Leaving our cosy lodgings by bike and following a brief crossing of one of the arms of the Estuario de Reloncavi we continue our progress northwards to Sotomo and then Cocham? situated at the far tip of the Estuario de Reloncavi, on which is a great off road section. On reaching Cochamo (45kms/28 miles) we continue for the remaining 33kms/20 miles on a superb tarmac section to stop cycling a short distance from Ensenada. Ahead of us during this section is Volcan Osorno dominating the skyline and all along the roadside are the bright yellow shrubs of this region. Simply blissful! Once the bikes have been loaded up, we visit the ever impressive Saltos de Petrohue - a series of rapids and waterfalls passing over an impressive sculpture of extruded volcanic rock. We are now in the centre of Chile's first national park, Parque National Vincente Perez Rosales (established in 1926). Accommodation tonight is in the relaxed surroundings of Hotel Ensenada, which is reached by our support vehicle from Saltos de Petrohu?. Dominating the skyline now is the ever impressive Volcan Osorno (2660m) which we will pass-by on our morning transfer from Ensenada to Salto del Indio and lunch. As we reach the edge of Parque Nacional Puychue it's time to leave Chile for a few days and cross over by bike into Argentina at Paso Cardenal Samore. 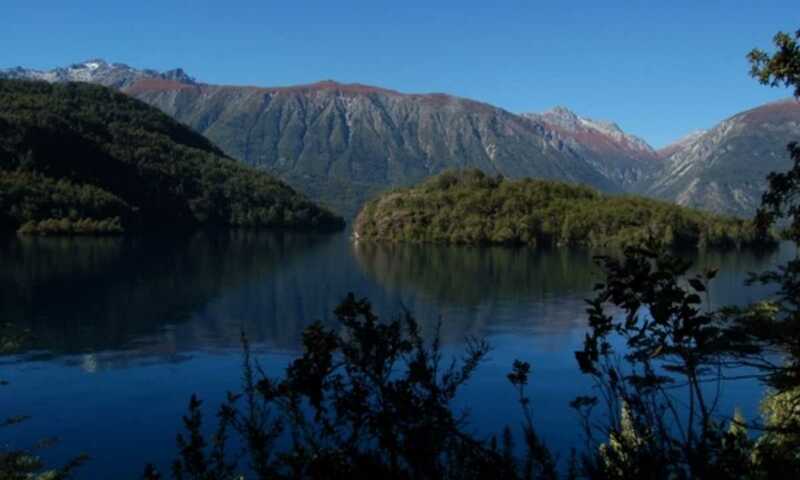 Once we have our stamps firmly in our passports we embark on the exciting yet well surfaced pre-dominantly downhill route to Villa La Angostera on the edge of Lago Nahuel Huapi. From here we head to Bariloche (95kms) by support vehicle where we will stay for the evening. With its Swiss style architecture and famed for its chocolates, Bariloche has been given the apt title of the St. Moritz of South America and will be the perfect location on what will have been a long day. Following breakfast we set off on our days cycle ride around the very picturesque Llao Llao and Curcuito Chico. Although pre-dominately on road, this is a superb day of riding. Lunch will be taken close to the small 'Swiss colony', before we continue this circular ride back to Bariloche, where we arrive mid-afternoon. No doubt eager to explore the inviting streets the rest of the day has been set aside for a spot of souvenir hunting and a visit to the wonderful 'chocolate houses' of the town. After your exertions today there is really only one way to end the day, well several really -chocolate, ice cream, an Argentine steak and vino tinto! Having enjoyed the streets of chocolate shops, bars, and the numerous restaurants offering Swiss fondue and huge steaks, we bid farewell to this little part of Switzerland. Initially travelling by support vehicle we soon start our cycling on the road towards Confluencia. En route there are wonderful rock formations high above us with equally wonderful names - Tren Expresso, Centilla and Dedo de Dios. We are now in the Valle Encantado, and it certainly feels like it; the views are superb. From here we follow a gravel and earth track into another very pretty valley with more rock formations and the backdrop of snow capped mountains- this is great cycling. Just before the cycling ends for the day, we spend a little time at Mirador de Traful, which offers not only spectacular views of Lago Traful, but also of the route which you have cycled today. Pictures taken and superlatives exhausted, we cycle a series of enchanting dips, twists and turns along a wooded track that skirts Lago Traful, for the final few kms to reach our stop for the night, Villa Traful. These cabanas will be serve as our lodgings for the night, with dinner taken in the lovely surroundings of the accommodation itself. 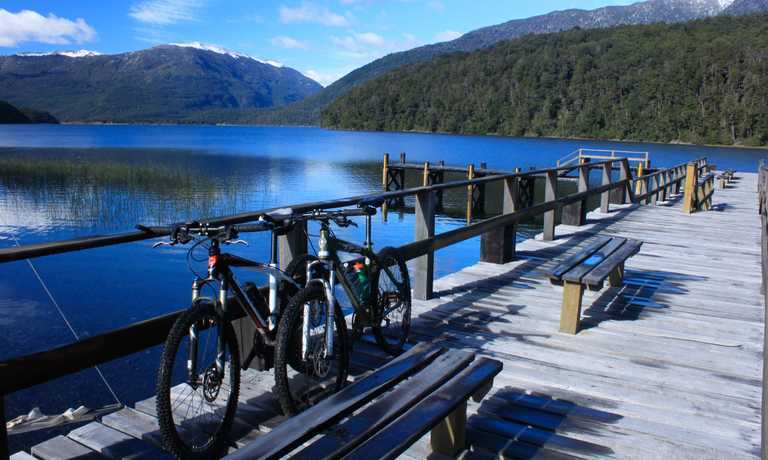 We start our journey cycling directly from Villa Traful along the beautiful and spectacular Ruta de Siete Lagos (the Seven Lakes Route). 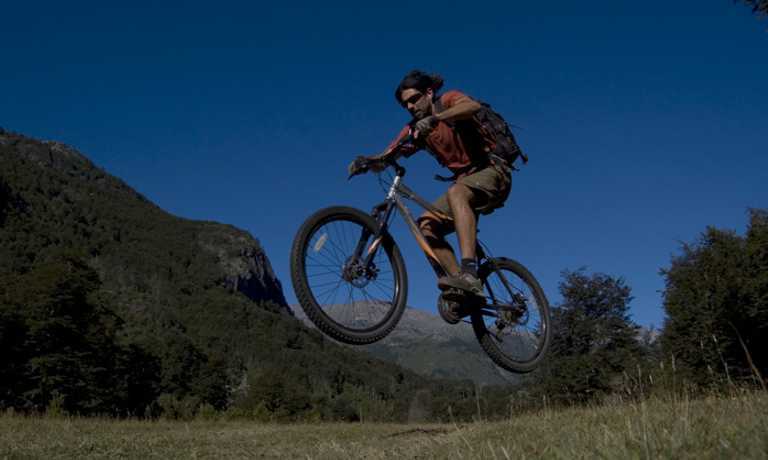 The cycling today is a real treat as we head towards the town of San Martin de los Andes. Again following a good earth road we roll and wind through woods, past beautiful lakes with snow dusted mountains in the distance. This is a very tranquil and special area as we enjoy lunch amongst our surroundings and continue past the lakes. Continuing on, we finish our day on a short and fast road section into Villa Angostura. No doubt enchanted by this area the dinnertime stories will be about today's riding. Leaving Villa Angostura we initially transfer to Pichi Traful, a point just north of where we joined the Seven Lakes Route yesterday. Again amidst the wonderful setting we cycle past beautiful lakes, forests and small villages onto our lunch stop near Lago Hermosa. After Lago Hermosa the road is tarmaced, a treat after the more natural, but not too arduous earth and gravel roads of previous days. The views again are spectacular as we scoot along the smooth road towards San Martin de los Andes. Before reaching it we pause to take in the fantastic views and then set off on a grin inducing descent to San Martin along kilometers of winding road. Nestled by Lago Lacar and surrounded by mountains San Martin is a real treat. As we pull into San Martin we are further enthralled by its prettiness. We take our lodgings at a guesthouse in town and suitably refreshed set off to explore the streets. San Martin de los Andes serves as an excellent rest day location. Not only extremely pretty and tranquil but it also has a lots to offer. The options today are numerous. Simply resting and enjoying the restaurants and cafes of the town with a little sightseeing thrown in, horse riding, and for the more energetic you can explore the surroundings by bike. A favourite option is however a great walk through the densely wooded area close to Lago Lacar. Our rest day is finished off with more exploration of San Martin and a good night's sleep. After breakfast and loading the bikes we board our support vehicle and set off for the Chilean border - today we are re-entering Chile. By vehicle we pass through Junin de los Andes and head for the border at Paso Tromen, unloading the bikes at Mamuil Malal. En route we get our first views of the absolutely stunning Volcan Lanin, with its almost perfect snow covered cone, standing at a majestic height of 3747m. At the border we quickly pass through the normal formalities and renew our Chilean visas once more before setting off to explore Chile further. After the pass the road drops into Chile along a twisting route. We are now entering Parque Villarica where the monkey puzzle tree forests abound. They are so beautiful that their ancient forms would not be out of place with a passing dinosaur. Today, as with all days, there is the option to cycle as much or as little as you wish. Some may wish to cycle all the way from the pass to El Turbio where we re-board the support vehicle. From here we drive the short distance to Pucon and our night's accommodation. Pucon is a pleasant town with a good climate which stands on the shores of the beautiful Lago Villarica. We spend the day here exploring the surrounding countryside by bike. Popular routes include rides to one of the many beautiful waterfalls in the area. For those looking for more adventure there is always a spot of white water rafting or the option to climb Volcan Villarica. This is a truly memorable experience as you mount the top and stare into its molten centre. Literally staring into the centre of the earth is a very special feeling. The sulphur fumes are not so special but the surprise descent is simply the icing on the cake ... certainly a must do. Breakfast finished we jump into the support vehicle for the transfer to the start of today's ride. Today's riding takes us to the remote town of Melipueco standing at the edge of the beautiful Parque Conguillio. The route starts with around 7kms on a smooth tarmac road, followed by an unsurfaced section of around 8kms and ends with more smooth tarmac of around 47kms that will see you 'eating up the miles' to Melipueco. Our lodgings are in a family run guesthouse, where we are sure to receive a warm welcome, set in a very private and tranquil setting. So if you thought you had seen it all, think again! Parque Conguillo is an absolute gem, as within it stands Volcan Llaima, one of the most active volcanoes in South America! Initially the riding is through woodland and then suddenly, as if the trees had been blown away, you are confronted with a barren, rocky and ash landscape, the contrast is incredible. This is the solidified lava flow from previous eruptions and the track of the solidified rivers of lava have spread out like fingers over the landscape destroying all in its path. Soon the route re-enters the untouched forests of beech and araucaria where the sun is obliterated by their denseness. Also passed are the wonderful and tranquil spots of Lago Verde and Lago Conguillo, that serve as a truly fitting end to our cycling, before applying our brakes for the last time as we return to Melipueco. Once here we can change from our cycling clothes and after a celebratory beer or cuppa, make a transfer to our lodgings in or near to Temuco. Our last night is spent reminiscing about our adventures, perhaps even over yet another glass or two of the lovely Chilean or Argentinean wine you've so enjoyed during your trip. Having rested at our lodgings and had a final glimpse of the mountains and volcanoes we make our way to Temuco Airport to catch a connecting flight to Santiago from where we catch our international flights home, arriving the next day. This trip can run as a group trip, with prices starting from $3,150 per person for a complete group. If you are looking to join a group or you are a solo traveller we will help to form likeminded groups of travellers. Please let us know your travel plans. Price from USD $3,150 per person.